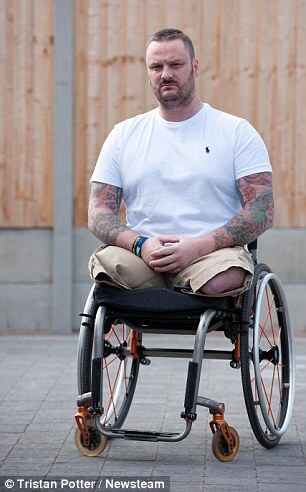 NHS delays are leaving badly wounded Afghanistan veterans wheelchair-bound because many are having to wait months for prosthetic legs that actually fit properly, it has emerged. The girlfriend of one injured soldier accused doctors of ‘sheer incompetence’ after providing her partner with prosthetic limbs that are effectively useless. Clive Smith, who competed in the Invictus Games for injured veterans, has been confined to a wheelchair for eight months while he waits for his new limbs to be refitted.